Hanoi (VNA) – The upcoming World Economic Forum on ASEAN (WEF-ASEAN) is expected to be a chance for Vietnam to affirm its role in and responsibility towards the ASEAN and the region and to promote the country’s growing cooperation with the WEF. 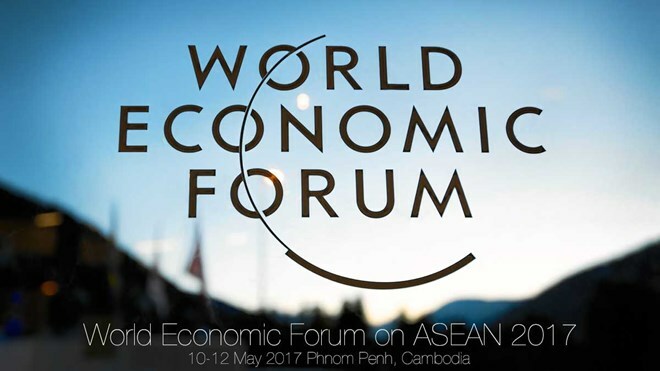 Prime Minister Nguyen Xuan Phuc will lead a Vietnamese delegation to the WEF-ASEAN in Phnom Penh, Cambodia, on May 11-12 at the invitation of the Cambodian Prime Minister Samdech Techo Hun Sen and WEF Executive Chairman Klaus Schwab. The WEF is a prestigious and efficient global forum attracting leaders of almost all major countries, international organisations, and businesses from around the world. It holds a number of forums at international and regional levels each year to discuss economic-development issues and other global affairs. Besides the most important WEF event which is the annual meeting in Davos, Switzerland, other regional WEF events include the WEF on East Asia, the WEF on Latin America, and the WEF on the Middle East, are also held every year to assess and analyse development issues of the respective regions. Vietnam and the WEF began their cooperative relationship in 1989. Senior leaders of Vietnam have regularly attended the WEF Annual Meeting in Davos and the WEF on East Asia. WEF Managing Director Philipp Roesler visited the country in November 2014, July 2015 and April 2016. After nearly three decades, the WEF has become an important dialogue forum between Vietnamese Government leaders and the world’s leading enterprises. Aside from the attendance in WEF meetings, Vietnam and the WEF have expanded their cooperation to other spheres such as national competitiveness improvement, agriculture and industry. The country also initiated the organisation of the WEF on the Mekong Region so as to popularise the Greater Mekong Sub-region to major businesses around the globe. The event in October 2016 drew nearly 200 delegates, including leaders and economic ministers of the Greater Mekong Sub-region nations and over 100 representatives of WEF member businesses and regional enterprises. There are 11 Vietnamese businesses which are members of the WEF, including military-run telecommunications group Viettel, FPT Corporation, VinGroup, VinaCapital, the Vietnam Posts and Telecommunications Group (VNPT), the Join Stock Commercial Bank for Foreign Trade of Vietnam (Vietcombank), and Saigon Invest Group. The WEF-ASEAN 2017, themed “Youth, Technology and Growth: Securing ASEAN’s Digital and Demographic Dividends”, takes place amid the 50th founding anniversary of ASEAN. It is set to attract more than 600 delegates, including the Prime Ministers of Cambodia, Laos and Vietnam, and the President of the Philippines. The event will focus on assessing ASEAN’s development and integration and problems the bloc will face in the time ahead. Other issues on the agenda are ASEAN’s position in the new global geopolitical and economic context, the prospect of the ASEAN Economic Community, and impacts of the Fourth Industrial Revolution on ASEAN countries.